The Creative Podcast landscape is crowded and there is a ton of dross. 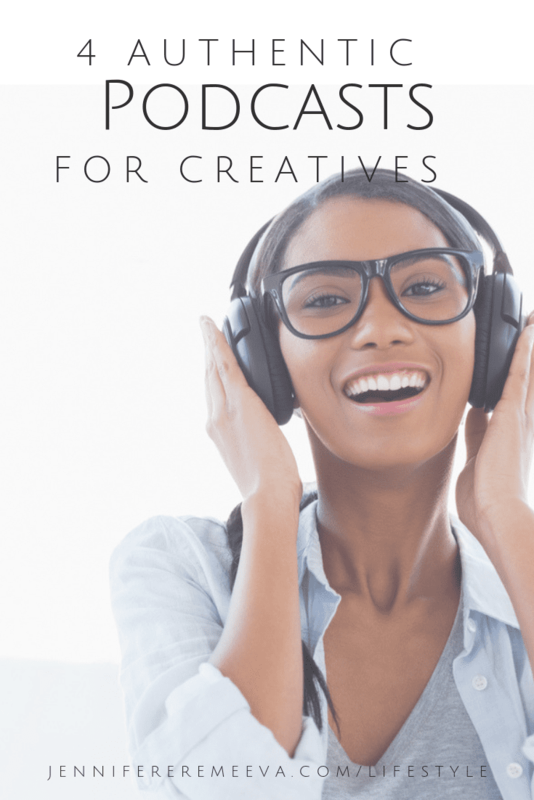 These four creativity podcasts are authentic, generous, and informative. I had one of those ugly online experiences this week, and it’s stuck in my craw like a bad burrito from a dodgy food truck. I’ve been reviewing Amazon’s new series The Romanoffs for The Moscow Times and posting about the show and the dynasty on this site. It’s no secret I’ve been obsessing about the Russian royals since I was thirteen: I own a very impressive Romanov library (even if half of it is sitting in storage in Latvia), I pride myself on being able to sort my Catherines from my Elizabeths, my Peters from my Pauls, and my Nicholases from my Alexanders. I’m even great at the lower rung of the dynastic food chain: I know my Marie Pavlovnas (elder versus younger) from my Marie Fyodorovnas, and I know my Marie Alexandrovnas (mother versus daughter) from my Marie Nicholaevnas. I know who “Ducky” and “Uncle Bimbo” are. I’m not the world’s leading Romanov expert, but I’m no slouch, and hey, The Moscow Times thinks I’m enough of an expert to pay me to write for them. My Romanoff posts have netted me quite a few new followers on my various social media platforms, and I’d enjoyed a lively exchange with many of them about the series. I was feeling good about life in general — my novel (set in Romanov Russia) was, for once, in a good place. And then the blow fell. NBD, right? Happens all the time. Sure. And ordinarily, I’d just write something non-committal, something mildly polite that didn’t acknowledge @whoevershewas’s gratuitously unkind remark. After that, I’d go on with my day, automatically erasing @whoevershewas from my emotional hard drive. But not this day. Instead, I burst into tears and raced up to my home office with the intention of erasing every last thing my actual hard drive and just give up this whole insane idea of making it as a multi-genre writer. An overreaction to be sure, but all too common when one is trying to carve out a little corner for oneself in the creative entrepreneur landscape. @whoevershewas had appeared as the manifestation of what Steven Pressfield titles “resistance” in The War of Art, his seminal work on the battle to be creative. @whoevershewas may in real life have been (and is) just an average, innocuous Canadian mom who leans a little too heavily on the more garish Instagram filters, but at this moment she was powerful enough to throw me off my game entirely. Interested in More Podcasts? 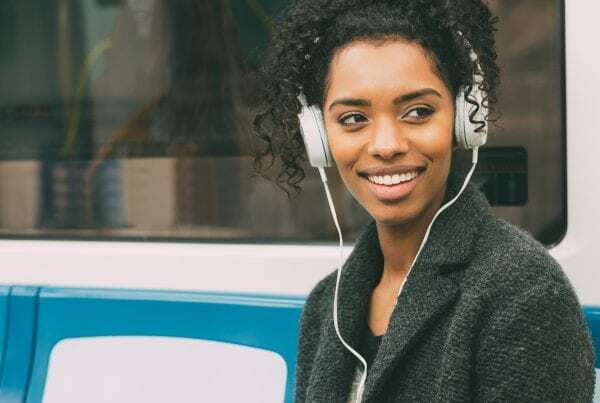 Try these 5 Great Podcasts from Libraries! I was ready to jettison the ambitious schedule my accountability partner and I had discussed the previous week. Because what, after all, did it matter? The photos I had to take for the articles that were due, the research on gorillas in Rwanda I had to finish for a travel piece a client was waiting for, and Chapter 21 of the Work in Progress, which still required a significant rewrite in the messy middle and a polish of the dialog. One little snarky comment from @whoevershewas, and I was ready to throw in the towel and rededicate my life to achieving perfect hospital corners and catch up on my sadly-neglected Netflix. I was short on time on Tuesday so I could only afford forty-five minutes to wallow the slough of dispond. So I did. And then? I made a huge cup of builders’ tea and opened my Morning Pages journal and scrawled out the requisite three pages of a handwritten screed. This process, the invention of Julia Cameron, author of The Artist’s Way, will almost always result in some kind of revelation. On Tuesday the revelation was that I was suffering from acute imposter syndrome, a common malady among creatives for which there is no known cure. After I finished my three pages, I knew that for certain. I wrote @whoevershewas a short, neutral reply, explaining that I had come to food writing relatively late in life, but that I enjoyed it as much as the travel, history, and culture pieces that I create, as well as the historical fiction (set in Romanov Russia) that I’m working on. I washed my face, made a thermos of coffee, and headed to the library to work in Chapter 21. How did I become so wise, strong, and resilient, Reader? 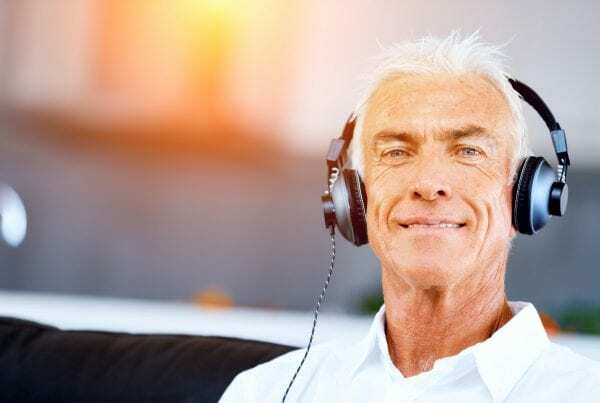 In large measure from listening to the four podcasts featured in this post. I looked around — long and hard — for a fifth to satisfy my usual template, but decided in the end that you’ll be much better off of you listen to more of these four. A lot of dross is written about — and podcasted — about the creative life: how to follow your bliss, do what you love, pursue your passions, and other Instagram loopy brush script homilies. It takes time to sift through the dross, but when you do, you find some pure gold nuggets. I have listened to hundreds of podcasts about creativity and creative entrepreneurship and have rejected almost all of them, wondering why I wasted so much time on them when the truth was right there in their titles: “The Four Hour Work Week” (Hah!) or “The Accidental Creative” (creativity is never accidental). The four podcasts I’m highlighting today have not only taught me how to deflect attacks of self-doubt, writers’ block, and the dreaded imposter syndrome, they have also inspired me to keep going — to write more books, pitch more articles, take more photographs. Thanks to them, I’ve figured out how to earn a very modest living as a creative entrepreneur, and I’m still doing it today, even under very challenging circumstances. Moral of this story: creativity is magnificent. It’s a privilege and a joy, but pursuing a creative career is hard, slogging work, requiring leaps of faith, long hours trying and failing, rejection, indifference, feelings of invisibility and irrelevance, and then more rejection. Anyone who tells you it’s going to be as easy as one of those loopy brush script sayings on Instagram is either creating or selling those loopy brush script sayings on Instagram. If you are feeling the irresistible urge to take your creativity to the next level, you will find in these four podcasts acceptance, inspiration, community, knowledge, empathy; in short, the very arsenal you need when your own @whoevershewas tries to put you off your creative game. Great for: a brisk walk on a Monday to get the creative juices flowing! Joanna quit a well-paid IT position about a decade ago to write thrillers under her pen name, JF Penn. 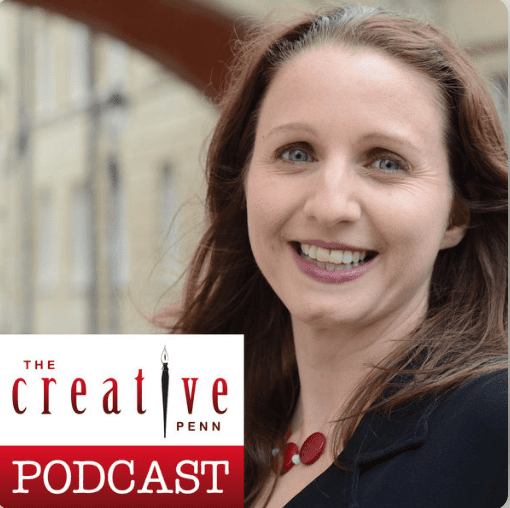 She’s better known to aspiring creatives as the brains and brawn behind The Creative Penn website, an invaluable collection of non-fiction how-to books, and her signature podcast, which is an industry standard for writers and self-publishing artists. Whenever someone approaches me tentatively about breaking into writing, I send them directly to Joanna because anything I know I certainly learned about from listening to her almost 400-episode backlist. And there is no better place to begin as these weekly interviews – each about an hour — is packed full of the tools and tactics you need to know to pursue a self-employed creative career. Joanna is the author of seven excellent books on writing and entrepreneurship, including must-reads: The Successful Author Mindset, How to Make a Living with Your Writing, The Healthy Writer, and Career Change. Each is a clear, concise, generous, and entertaining read, absolutely chock-full advice and encouragement. If you are toying with the idea of embarking on a career as a creative, don’t even think about doing it without Joanna Penn. Elizabeth Gilbert became a household name with the publication of her memoir, Eat, Pray, Love. In her book, Big Magic, she continued her own exploration of the wellspring of creativity. It’s a marvelous book full of inspiration, empathy, and practical advice on how to conquer the demons, then settle down and get the work done. One of the biggest takeaways for me was a terrifying idea she presented with a lot of conviction that my novel’s characters might migrate away to another writer if I didn’t spend enough time with them. Yikes! Just as Eat, Pray, Love resonated with a global audience ready to plunge into a year of exploration, Big Magic inspired tens of thousands of slumbering creatives to embark on an active life pursuing their passions and fulfilling their dreams. 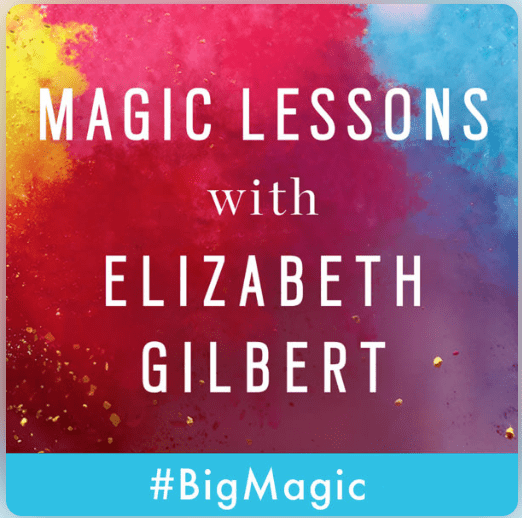 In each episode of Magic Lessons, Gilbert helps one of the lucky readers who submitted their stories take the first wobbly steps on the road to a creative project or life. She brings in an impressive cohort of fellow mentors, including Martha Beck, author of Steering by Star Light, Finding Your Own North Star, Neil Gaiman, and Brene Brown, the author of Rising Strong, The Gifts of Imperfections: Let Go of Who You Think You’re Supposed to Be, and Embrace Who You Are, and Braving the Wilderness. These conversations of strength and passion will inspire you — no question about it, but in addition to a manageable amount of woo-woo is a lot of solid and very useful stuff about craft, habit, and attitude. Magic Lessons is two seasons long at the moment, and Gilbert’s many fans are eagerly hoping for a third and forth! This is a great podcast if you are stuck in cubicle land but don’t know how to get out! Whenever I listen to one of Jen Carrington’s episodes, I itch to roll up my sleeves and put her advice into practice. 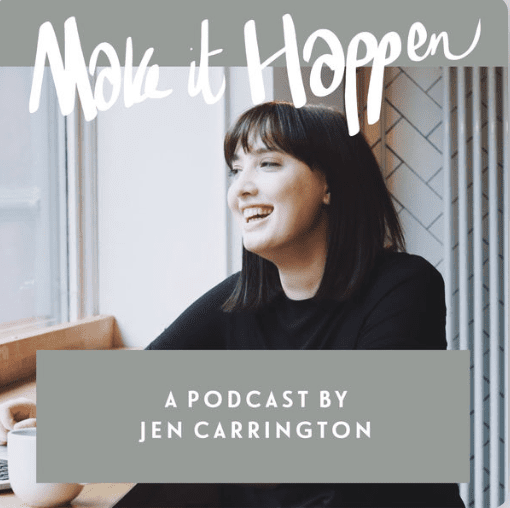 Jen is a UK-based creative coach with an impressive roster of clients, who credit her with helping them take the next step into a fulfilling creative life and career. Make it Happen has an extensive seven-season backlist filled with a mix of interviews and Jen’s own pithy observations. I listened to most of Season Two one summer during regular 90-minute round trip drives to School Search Committee Meetings and often found myself pulling over on I-91 to scribble ideas and really fabulous takeaways from some of the more memorable episodes. Jen has a knack of identifying topics that really matter to creatives. I didn’t learn about Imposter Syndrome from Jen, but I certainly felt far more capable of dealing with it after listening to S02 E09 Let’s Talk about Imposter Syndrome. I’ve also come to rely on Jen’s Weekly Letters for her personal insights. Like all of this week’s featured podcast hosts, Jen is a generous, authentic guide through a world too often littered with hype and glibness. Perfect for: a realignment of your goals and commitment to the creative life. Sara Tusker’s podcast is an excellent example of how a podcast should go mainstream. I first learned about her blog and Instagram courses from Sally Prosser of the wonderful food, travel, and lifestyle blog My Custard Pie, who recommended it on her blog. Sally’s recommendations are always spot on, and Hashtag Authentic did not disappoint! On each episode, Sara interviews a fellow creative, conversations that are authentic and insightful, entirely devoid of hype, gimmick, or insincerity. Sara is like the Ashtanga yoga of podcasts; after listening to each episode, I feel relaxed, and restored, and recharged. When I was still feeling slightly bruised from @whoevershewas, I noticed that one of my all-time favorite Twitter heroines, Viv Groskop was on Hashtag Authentic. I listened to the episode with such mounting joy in the weight room that day that I found myself doing about 18 reps per machine instead of 10! This was a marvelous conversation about finding the confidence to take your talent into the world in time for the publication of Viv’s new book, How to Own the Room: Women and the Art of Brilliant Speaking. If you are ever feeling fragile about your own creative career, I recommend listening to this episode for an instant mindset alignment. 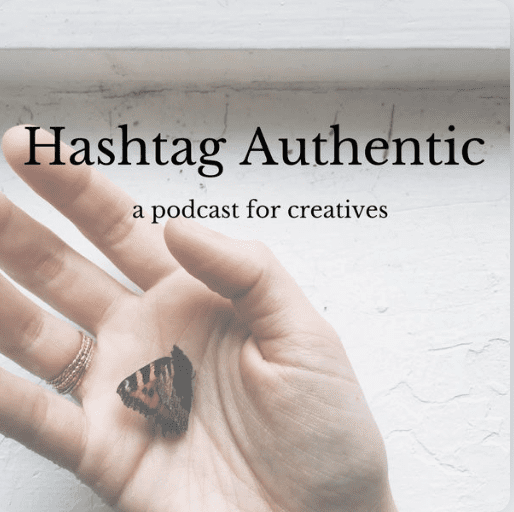 One of the other things that I love about Hashtag Authentic is that the creatives Sara have such a wide range of talents and make such diverse art. You might not think that as a poet, for example, you can learn much from a jewelry designer, but listen to Sara’s interview with metalsmith Megan Auman and you might just feel differently. If you know you should be using social media in your business, but aren’t sure how to start, Sara Tusker is a marvelously generous and discerning guide — very low on hype and very high on integrity. Again, there is a ton of dross in the “creative space” on the internet, but Sara’s Instagram tutorials and courses are worth the time and money! I recommend this podcast for anyone at any stage in the creative life, but particularly to those just starting out. You will find all kinds of inspiration, be uplifted, and learn a hell of a lot! Do you Love History? Take a Break with These History Podcasts! Subscribe to receive updates as soon as a new list is published! Pin and share this article! I hope this post has got your creative juices flowing! If you are interested in reading further and deeper, download my Creative Toolbox, where I list my favorite books, software, and online courses that have helped me develop skills and knowledge. I reviewed a ton of podcasts for this post and rejected most of them. As I said above — there is a TON of dross out there. But I did post a few individual episodes from podcasts I thought were very good but not great to our Facebook Group, Jennifer’s Podcast Picks. where I also l post links to new podcasts I discover and look forward to hearing your ideas. If you enjoy communicating in this way, please do join the conversation! I am very eager to know the topics you would like to hear about!. Are you looking for podcasts on gardening, knitting, sports, or how to do everything? Let me know! If you haven’t already, please do subscribe to receive updates most weekends when the new list goes up. Below, you’ll find more information on the kind of subjects I write about — it’s an eclectic list! I’ve also included links to previous posts about travel, cuisine, history, and lifestyle topics. I hope you’ll enjoy browsing around. This post does contain affiliate links. Any purchases you choose to make via these links will net me a small commission from the retailer. I use these funds to support the maintenance and development of this website. I hope you’ll consider staying connected with me by subscribing to receive regular updates or joining the conversation on Facebook, Twitter, Instagram, and Pinterest! 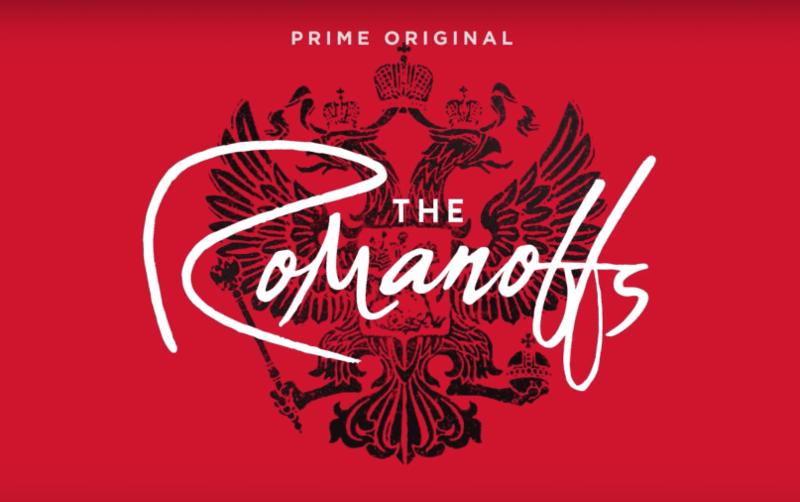 Amazon's new original series, The Romanoffs sets the real-life Romanov Dynasty adrift on a ship of fools. Guest blogger, Hannah Hethmon, host and producer of Museums in Strange Places Podcast joins Jennifer for a look at 5 Absorbing Museum Podcasts. I write features and posts about a wide range of travel-related topics. I love to “follow” someone famous (and dead) around a city. I collect books about travel destinations and love to share them here with you. Exploring food markets, developing recipes, and just eating was once my hobby, but now it is a full-time job. I write about food markets around the world, develop recipes, and study culinary history and emerging trends. 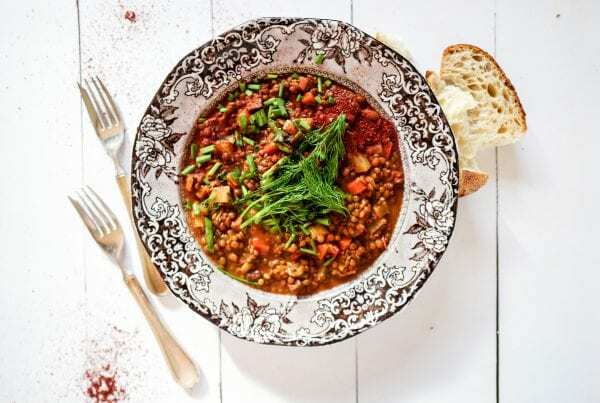 I have a particular interest in Russian and Eastern European cuisine and culinary history. I believe that great books are part of a life well lived and this extends to audio entertainment. Under the Lifestyle umbrella, I review books, podcasts, and audiobooks, I discuss writing and reading and am constantly on the lookout for new ways to be productive and clear all manner of clutter from my life.